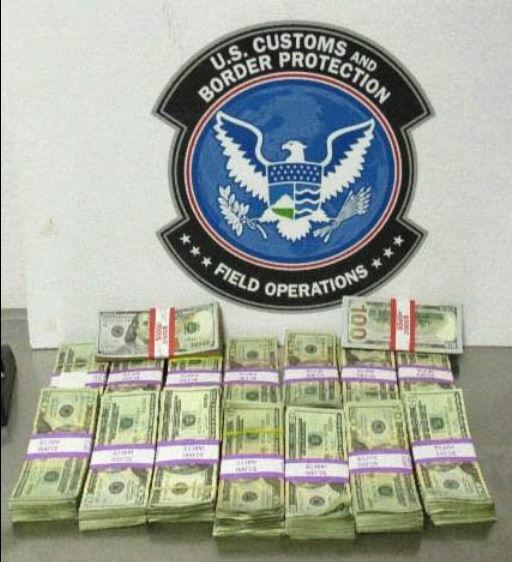 Another week, another cash seizure at Dulles airport by U.S. Customs & Border Protection. They are really racking of the seizures — and talk about it, a lot — this year. The woman arrived from Peru via Colombia shortly before 4 p.m. Tuesday. During a secondary examination, the woman initially reported that she possessed $3,000, and then changed that amount to $5,000. CBP officers discovered $15,870 in U.S. dollars, and additional Peruvian Sol equivalent to $1,189 U.S. dollars for a total of $17,059 in her purse. U.S. Customs and Border Protection (CBP) officers seized more than $17,000, a fraudulent permanent resident identity card and a fraudulent social security card from a 54-year-old woman at Washington Dulles International Airport on Tuesday. But, the story goes on to say that “authorities declined criminally prosecuting the woman.” At the time currency is seized, the seizing officers (or Homeland Security Investigations, I suppose…) are required to contact the U.S. Attorney’s office and advise them of the incident to determine whether to prosecute the case criminally and arrest the individual involved in the currency reporting violations. However, CBP did “remove her from the United States for possessing fraudulent U.S. identity documents and barred her from re-entering the U.S. for five years.” Ooops! Have you had cash seized at Dulles airport by Customs? If you had cash seized at Dulles airport by Customs, you really need a lawyer. Read our trusted customs money seizure legal guide and can contact us for a free cash seizure consultation by clicking the contact buttons on this page. Dulles strictly enforces the bulk cash smuggling and structuring guidelines (to my knowledge, not publicly available and not published in CBP’s mitigation guidelines) that call for a hefty forfeiture of half – or more than half of the money even when legitimate source and intended use are shown. The repeated denial of carrying more than $10,000, couple with the splitting of the money between two envelopes in the carry-on bag is enough for customs to infer an intent to evade the reporting requirement; the concealment of the money in envelopes in the carry-on baggage is enough to infer an intent to conceal the money from the view of CBP. That means this man heading to Serbia is about to lose, at a minimum, $11,000, for not properly understanding the the cash reporting laws and for not being (anywhere near) truthful to CBP at the time he was asked to report how much money he was traveling with. U.S. Customs and Border Protection (CBP), Office of Field Operations (OFO), at Washington Dulles International Airport seized nearly $23,000 from a Serbia-bound U.S. citizen on Sunday for violating federal currency reporting regulations. Incidentally, the story says that CBP advised him “how to petition for the remainder of the currency”. We just wrote about taking legal advice from CBP — in short, you have a lot more options for getting seized cash back from CBP besides a petition, some of which are presented on the election of proceedings form. If you got currency seized by CBP you can learn more about the process from our trusted customs money seizure legal guide and can contact us for a free currency seizure consultation by clicking the contact buttons on this page.